Liz & Tyler came from Richmond and we got to celebrate Halloween with them! Yes I showed up in costume! First time for everything right??? 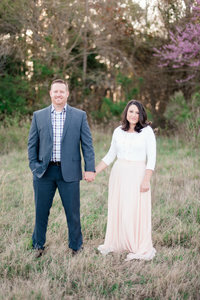 These two are getting married this February at the Williamsburg Community Center. We decided to meet up at the venue itself so that we can take a look. With all the windows, vaulted ceilings, and beautiful fireplace… Luke & I are so excited to shoot somewhere new! We decided to hang out there for a little while because there were so many pretty spots on the grounds!!! Liz & Tyler are so much fun!!! So down to earth and seriously such sweethearts! And not only that…. They have so much style!!! Luke said that they should be on a Macys ad or something! I agree! The leaves were the perfect colors and paired with these two the day was absolutely perfect! Thank-You so much you two! You guys were such a joy to be around! Luke & I are definitely looking forward to your big day! You guys are such pros at posing that I know we are going to knock this out of the park! Aren’t they just the sweetest together??? LOVE LOVE LOVE!!! This was just too funny not to share!! !